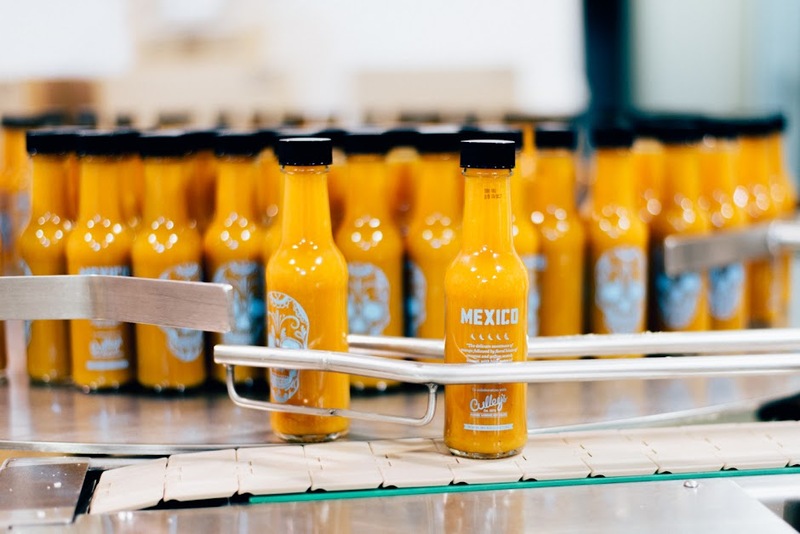 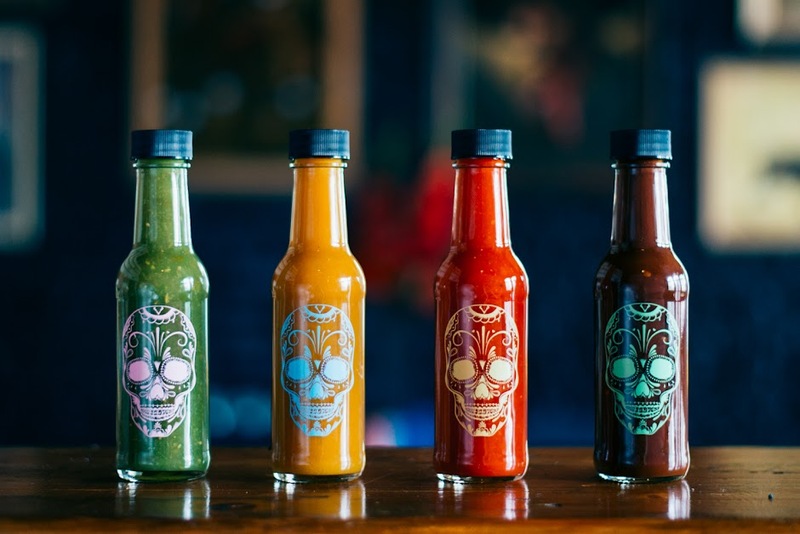 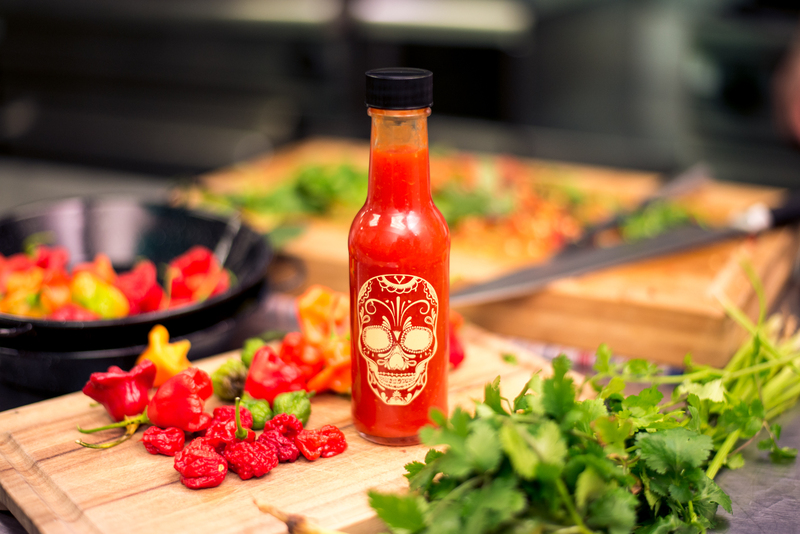 MEXICO Food & Liquor launched their very own range of take-home hot sauces, each with a distinctive flavour profile created by Executive Chef Javier Carmona. 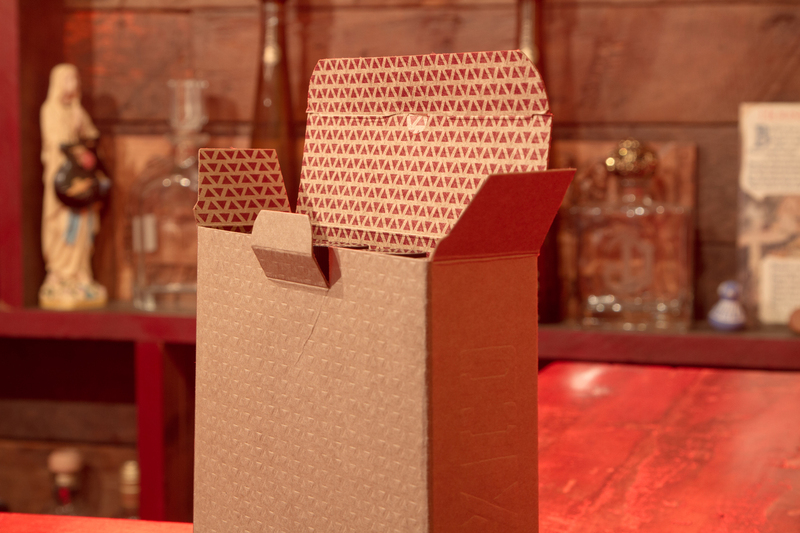 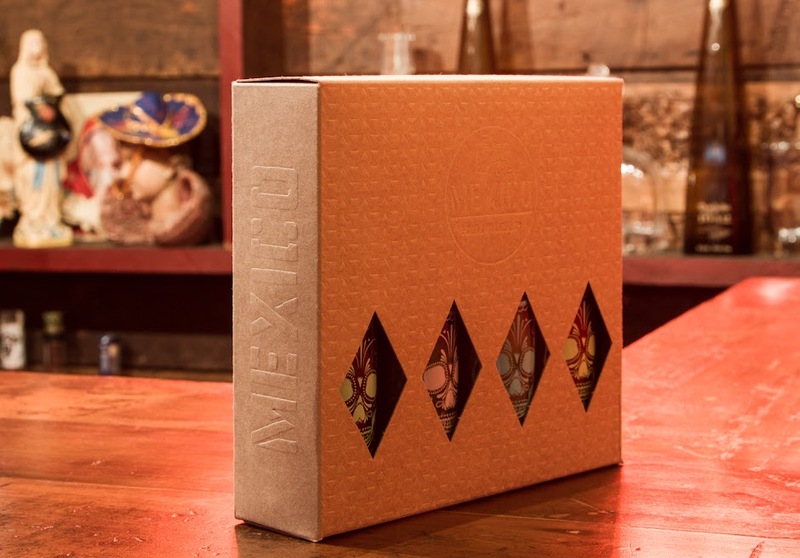 The packaging solution was designed to present the MEXICO brand in a unique and identifiable way, while maintaining the restaurant chain's non-corporate, subtle feel. The boxes feature large embossed detail on every side (excluding the base), complimented by an aligning custom spot-colour print of the same pattern on the inside. 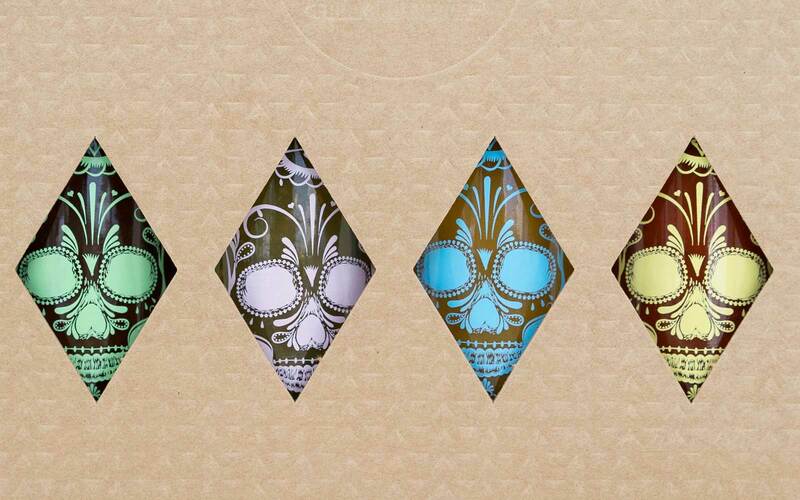 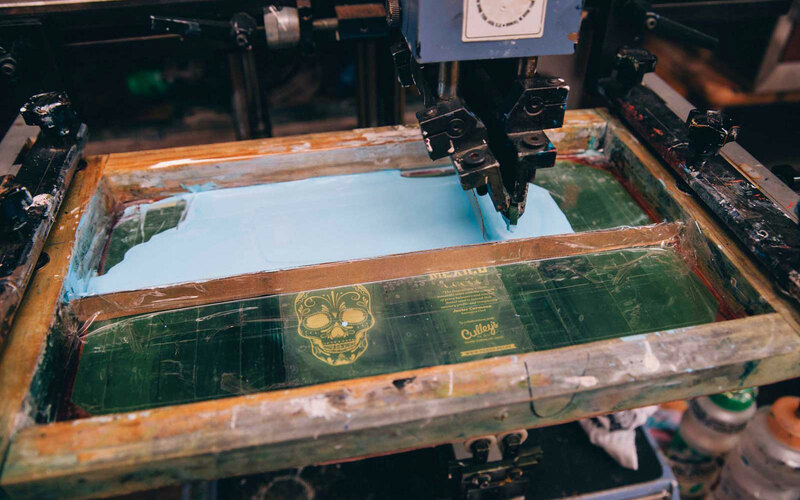 Die cuts allow the product inside to show through the box, while the bottles themselves feature screen printed labelling with a traditional Dia de los Muertos skull illustration on the front, and all necessary nutritional info on the back.